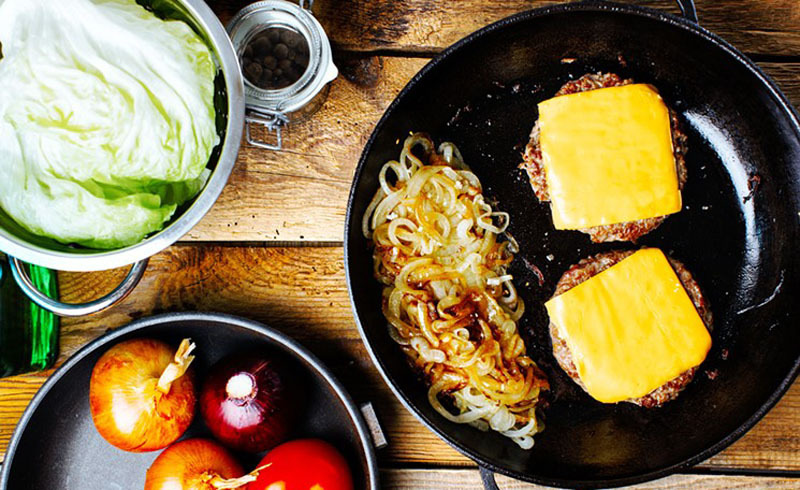 Next time you have a barbecue, try cooking burgers in a cast-iron skillet… on the grill. Here's why. A cookout with burgers is one of many things to look forward to during the summer months and one of the only things that makes bearing the awful heat worth it. We've already covered eight unexpected ways you can cook with your grill. But there's another trick you may not have considered; using a cast-iron skillet on the grill for your burgers. It may sound counterintuitive, but there are a few reasons it's worth giving a go. 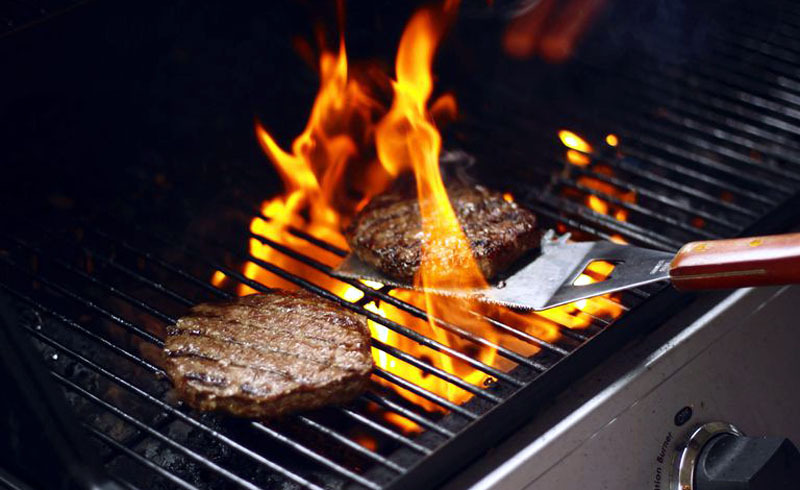 You might grill to keep from cleaning the kitchen, but cooking fatty burger patties on the grill can also create a bit of a mess. Of course, it's nothing a grill brush (or aluminum foil) can't handle. But using a skillet on the grill will reduce the mess even further. When you're done cooking the burgers, let the skillet cool down a bit, wipe it down to remove the burnt bits and grease, coat it in some oil and throw it back on the grill to season it for the next use. Cooking directly on the grill grates allows fat (and flavor) escape. [post_ads]When you cook hamburger patties on an open grate, the fat from the burgers seeps out and falls down into the grill. If this fat hits a flame, it will cause a flare-up. Flare-ups can not only be dangerous, they can also toast the outside of your food more than you want. Cooking in a cast-iron skillet traps the fat and prevents it from falling into the heat source. One of the main differences between a grilled burger and one cooked in a skillet is how juicy the burger usually is. The fat that drips down through the grates is just flavor escaping your burgers, so trapping the fat is two-fold. Not only does it almost completely put an end to flare-ups, it means you'll be cooking the burgers in their own fat. This helps preserve some of that precious beef flavor and will make a juicier burger in the end. Not to mention, while you preheat the skillet, you'll want to throw some cooking oil in there, too. The fat and oil (hey, no one ever said a juicy burger was a healthy option) will help you obtain that crispy, brown crust without overcooking the center and while keeping flare-ups from burning your burgers. Even with a pan, you're still cooking on a grill -- over an open flame of some sort. That means regardless of whether you're cooking over charcoal, on a pellet grill or with gas, you can still get that awesome smoky flavor. All you need to do is open the vent and close the lid for a few minutes while the burgers are cooking. If you're using a gas grill, throw some wood chips in a smoker box before you start cooking to help flavor the burgers.